Since the 1994 release of their groundbreaking album Wildhoney, Tiamat has been counted among those at the forefront of the Gothic metal genre. The problem that arises after a band has released a genre-defining album like Wildhoney is the immense pressure placed upon them, most often by fans and critics, to continue producing album after album at the same level of innovation. Rarely can a band achieve such a lofty goal, with many succumbing to the pressure and fading into memory. While Tiamat has not again reached the pinnacle that is Wildhoney, they've consistently delivered magical Gothic metal albums that have the power to wash over you and envelope you in emotion. 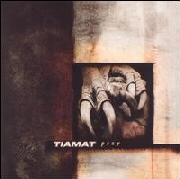 Unlike recent genre leaders like Entwine, To/Die/For, and Beseech whose style of Goth metal/rock tends to be up-tempo and poppish, Tiamat works in the realm of true sorrow and melancholy. Slow-paced, but not dirge-like, the majority of the band's compositions impart a deep sadness - but comfortingly so. They provide a soundtrack for saddened souls looking to wrap themselves in music, to feel their cares lifted as they connect on a deep level with the emotions flowing from the speakers. And so it is with Prey, Tiamat's 8th studio album. The band's two previous albums, Skeleton Skeletron and Judas Christ, tended to be more like those bands mentioned above in their slightly upbeat, somewhat poppy tunes. Prey signals a minor shift in direction for Tiamat, as mainman Johan Edlund continues to incorporate memorable choruses and hooks but increases the somber quality of his songs. While always having been influenced by Pink Floyd in his songwriting (which shows most clearly on this album in the form of "The Pentagram", the lyrics of which were written by Aleister Crowley), elements of Depeche Mode and The Cure are also significant on this disc. As on previous albums, Edlund sings in a smooth baritone similar to Pete Steele and Erik Molarin. Keyboards again factor substantially in setting the mood and atmosphere, but never rise to the point of becoming a distraction. The riffs are deep, dark and crunching as is to be expected in the Gothic genre, and work intimately with the other instrumentation to create an album that is as much about feeling as it is about listening. As the disc begins we are presented with birdsong, much in the same way that Wildhoney opened. But there the comparison ends, as the doleful riffs of "Cain" sound out. Combined with the sorrowful sound of an occasional church bell and the longing voice of Edlund, "Cain" is an excellent track to have been chosen to represent Prey as the first single released. Following the first song is "Ten Thousand Tentacles", one of three short instrumental tracks on the album. Essentially soundscape extensions of the songs adjacent to them, the three tracks ("Ten Thousand Tentacles", "Triple Cross", and "The Garden Of Heathen") don't stand on their own and are not designed to, yet they work well to enhance the emotional impact of their parent songs. "Love In Chains" is the next standout track for me. A song of love yet to be realized, it is one of the more upbeat tunes on Prey and feels akin to the songs on Tiamat's previous two albums. The simplistic riffs are catchy, as always, and the keyboards make a larger contribution to the song in the form of overall atmosphere and the occasional hook. The song also contains one of the rare guitar solos to be found on the album. Moderately distorted, the solos are brief and integrate well into songs that normally don't tolerate such elements very well - yet another example of Edlund's masterful understanding of song craft. Turning up the pace another notch is "Light In Extension". The chugging riffs provide the momentum as the keys float just below the surface, tying together the rhythm with Johan's filtered vocals - giving everything a bit of The Cure feel. Not just a standout track, but one of my favorites of the album is "Clovenhoof". The keyboard melodies give it an X-Files ambiance (similar to the show's theme song) and the chorus is memorable and infectious. The guitar leads are crisp and haunting as they blend together with the other instrumentation, and Edlund's voice, to create one of the most magical songs of Prey. My absolute favorite track is "Carry Your Cross And I'll Carry Mine". Similar to the majority of the album in tempo and emotion, what sets this song apart is the lead vocals - not performed by Johan, but by an uncredited female friend of his. Her thin, wispy voice is a perfect fit with the dark riffs and sorrowful piano and would be a significant enhancement to the core sound of Tiamat were she incorporated more often. She does appear with Edlund in a supporting role on "Divided", but I would like to see her involved in a more substantial way. As Lotta Hoglin helps define the success of Beseech, so could this unknown woman contribute to Tiamat's somber style. Prey proves yet again that Tiamat, and Johan in particular, are experts in the field of Gothic metal. Drifting away from the upbeat, almost saccharine Goth rock recently released by bands such as Evanescence, Lullacry, and To/Die/For, Tiamat has delivered an album that is both melancholic and comforting - accessible to all fans of the darker side of music.